By Jamie Dempsey | March 17, 2019. We are almost three months through 2019 now and everyone is getting back into their regular routines after the hectic Christmas period. However, for some it is much harder for others. 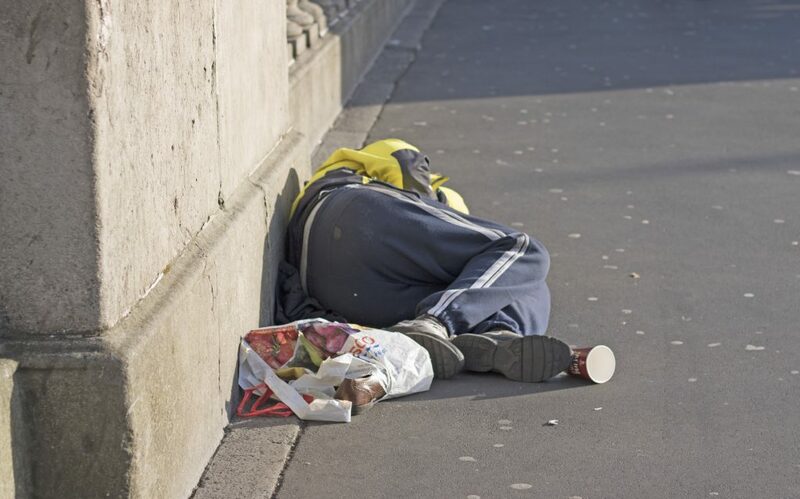 Between the 24th and 30th of December 2018, the number of people sleeping on the streets across Ireland reached 9,753 including women and children. 156 of these people were in Dublin. This showed a 15% increase from the figures collected in 2018 by Focus Ireland. James Fitzpatrick, a Dublin local, took time out of his day to talk to the Liberty about his past on the streets and how hard it is being on the street during the holidays especially at Christmas. Both of Mr Fitzpatrick’s parents died when he was young and he struggled to stay afloat without them since he was 18. Not as many of the 9,753 homeless inhabitants of the streets have been as lucky as Mr Fitzpatrick when it came it turning their lives around. Because of this, charity groups have been striving to get the edge over the homeless crisis in Dublin and all over Ireland. Groups like Focus Ireland and the Simon Community located around the city work tirelessly with people like James during their worst times to help them get back on track and bit by bit, piece their lives back together.